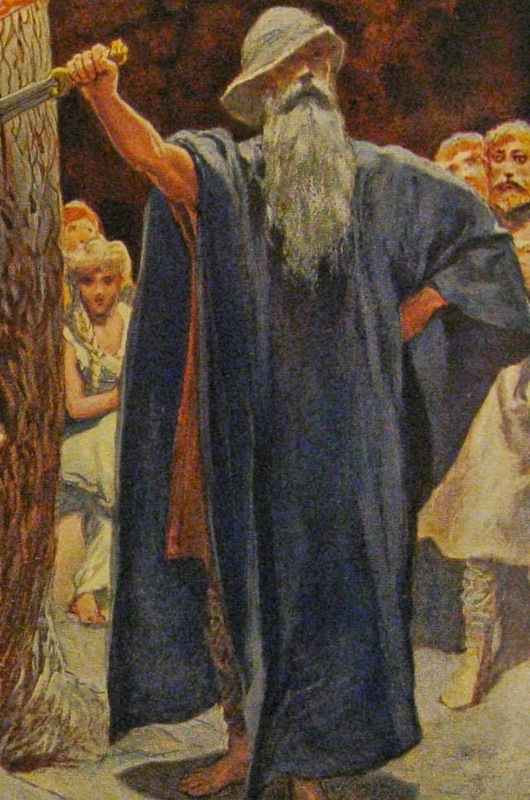 When I was doing research on Excalibur I found a fantastic Norse myth about Odin and a sword in the heart of a mighty oak. I started thinking about the series of Vikings who are full of Odin mythology. What if the writers of Vikings the series actually use that myth how would it look like? Would Athelstan get challenged to get that sword out the heart of the oak? Or should we give Rollo that shot after he invaded France together with Ragnar. Fact is we know there was a King called Athelstan. Rollo the Walker or Rollo the Viking became the duke of Normandy. In one of the articles I read note that I am not sure if it is true. That Arthur wasn’t English at all. (1) But used to live in France. So if the series would go that far we could have our own tale of the Excalibur. We also know that King Athelstan drove the Vikings out of England. He conquered the last Vikings in York. The Vikings settled in Scotland and with the scots they battled with King Athelstan after a while the battle of Hastings was a fact. Rollo or Athelstan could be living the Arthurian tales. We could make this legend work in the series. It is not yet told in one of the Vikings episodes.